I have managed to run lubuntu on my new cubieboard2 and read the temperature and barometric pressure from the BMP085 sensor via I2C. I'm now able to read temperature and atmospheric mean see level pressure (wheater forcast pressure) via python and store it in my cubieboard2. Please let me know, if you used I2C or some RX/TX wireless modul like RF433 Wireless to get distant data (e.g. temperature from outside). Now I use my arduino mini as a serial communication that gets me data from RF433 modul. I tried to get my RTC i2c to finally work using your instructions. But then I bin2fex, it seems that those two pins are already assigned to twi1. Do you have any idea how to get a DS3207 RTC to actually be detected? My twi0_used is also set to 1, so that is why it is I2C port 1 and not 0. If you will have still problem I can try to connect my RTC to I2C. I do not have internet, why I want an RTC to finally work. i2c starts, as it is address 35 or so that gets the EIDE to determine the screen size. The info for twi1 or that is, the second one, is exactly like you show in your script, but in there by default. I have been trying for over a year to get the RTC to work. Everyone on line says that these DS1302 clocks are at address 68, but NOTHING ever appears there. 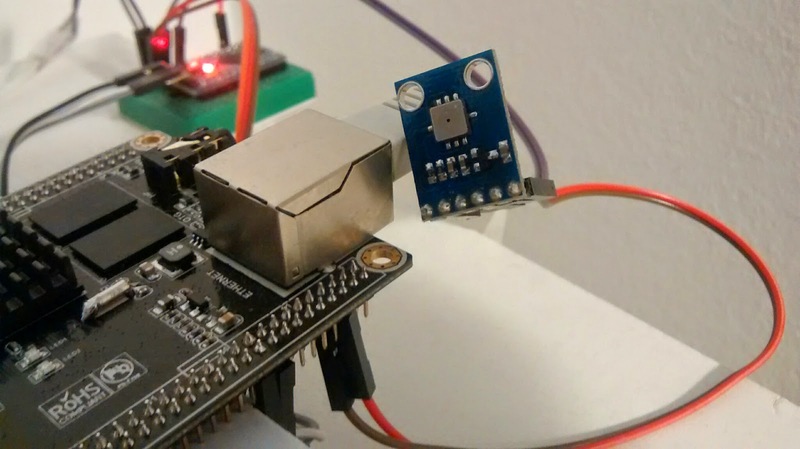 I have the /dev/i2c created at startup. To save boot time I finally disabled the RS1302 module. But it would make RTC1 but never work. EVERY time I start my Cubieboard it is DEC 31, 1969 at 7 PM. I am so tired of setting the time I'm ready to just stop using it. If it would at least learn to save the time from its last boot would save hundreds of clicks. I have thought of buying the Arduino $11 ethernet and the $30 DS3234 with SPI and just try to have it as the net work time server, but that would be as much as the Cubieboard. The Arduino wire library is cascaded on other things, so the software for setting up the Arduino RTC just can not be compiled by me. I have DS1307 and not DS1302. What I saw is that 1307 supports I2c and 1302 is 3wire. The DS1302 uses three lines (CE, I/O, SCLK). It is not I2C, it's not OneWire, and it is not SPI. So I'm not sure how you connected DS1302 to cubieboard I2C. I have connected my RTC DS1307 with 5V vcc and on the first try I got no response. On my 2nd try I got response on address 68 (I'm not sure why only after the second try). 00: 32 11 23 04 28 05 14 00 49 0a 14 01 86 68 01 12 2?#?(??.I????h?? 10: e4 05 42 a0 a4 e8 00 00 5d ad 40 da 19 28 00 e1 ??B???..]?@??(.? 20: 66 0f 26 9c 49 43 08 b0 90 d0 42 2a 18 22 00 02 f?&?IC????B*?".? 30: c0 00 1e 00 c6 49 80 88 16 93 00 40 04 e2 20 b0 ?.?.?I????.@?? ? It seems to me that I may be using the wrong side of the board to connect? I'll try changing. But how did you set the clock and then get the Cubieboard to then read that time upon booting?